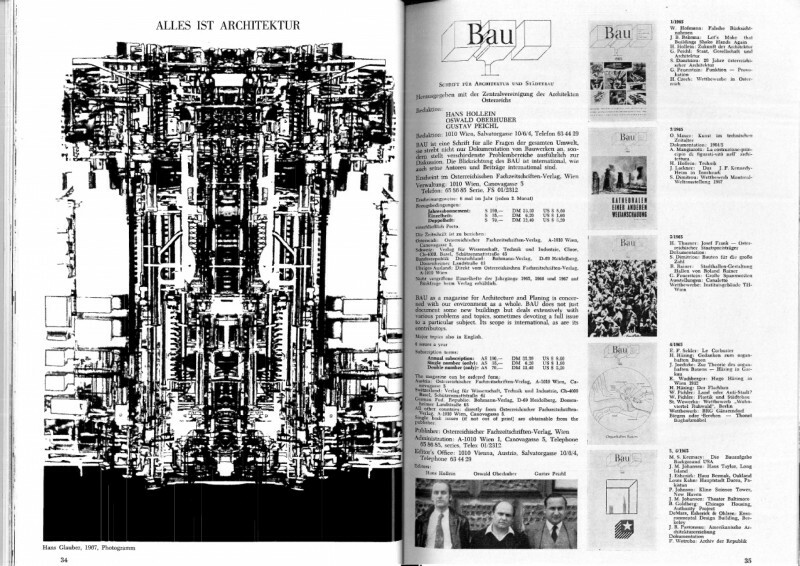 “Everything is architecture“, Hans Hollein announced in the 1968 (1/2) edition of the “Bau“ journal. As correctly explained by Ethel Baraona, he was not simply making an autobiographical statement, but a manifesto for a whole new generation of architects, designers and thinkers of the 60’s and the 70’s. Since his seminal “Architecture” 1963 exhibition in Monsignore Otto Mauer’s Galerie Nächst St. Stephan, together with Walter Pichler, Hollein showed his distaste for post-war functional architecture and for the unimaginative 1950’s Viennese buildings, declaring “We must liberate architecture from building“. 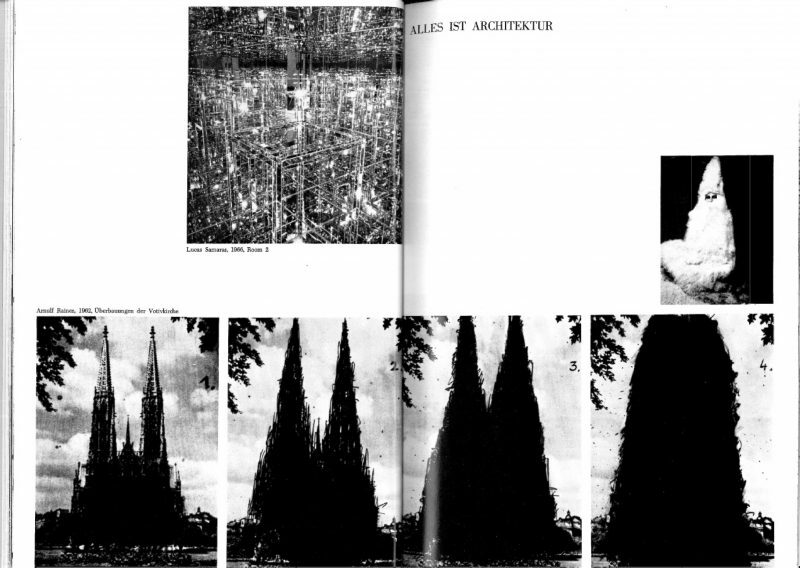 In “Absolute Architecture”, the 1962 manifesto, the duo declared that architecture was a ritualistic expression of pure, elemental will and sublime purposelessness. 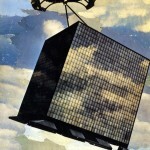 Through the use of techniques such as collage, photography, cut ups, they inserted monumental pieces in agricultural or urban scapes, creating archetypal megastructures, abstract urban forms and infrastructures out of decontextualised objects (sea carriers, huge sparkplugs, etc…). After a period of collaboration on small scale architecture, sculptural pieces and pneumatic structures (alongside other Viennese groups: Coop Himmelb(l)au and Haus-Rucker-Co), the two architects parted ways. 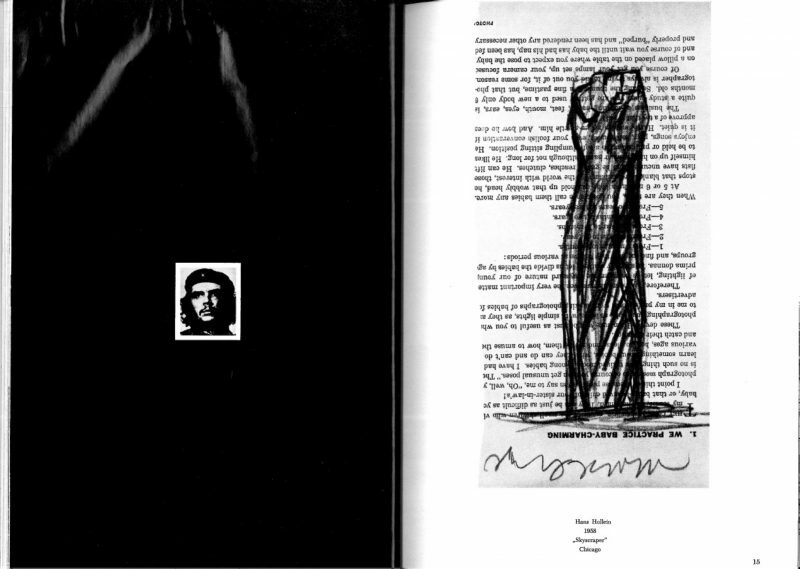 It is in this period (1968) that Hollein worked on a single issue of the Bau magazine, a compendium of thirty pages of images ranging from works of Frei Otto, Oldenburg, Christo, Wesselman, photo-montages of fashion magazines, a portrait of Che Guevara. 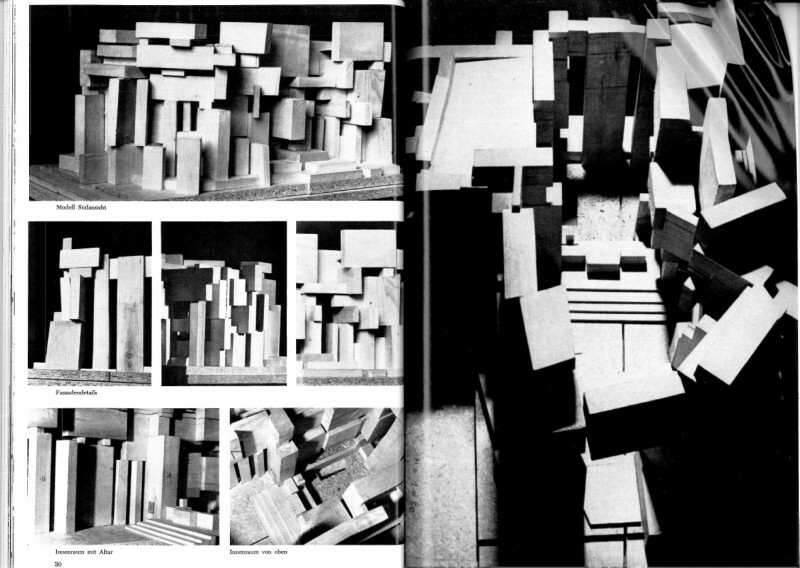 The countercultural character of the work was intended to trascend architectural’s physicality in order to embrace a whole -invisible- technical environment. “During the mechanical ages we had extended our bodies in space. Today … we have extended our central nervous system itself in a global embrace, abolishing both space and time as ffar as our planet is concerned. Rapidly we approach the final phase of the extensions of man – the technological simulation of consciousness”. 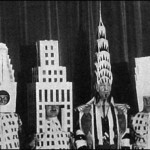 As with the parallel avant-garde manifestations of Isozaki in Japan, Archigram and Cedric Price in England and Superstudio in Italy, Hollein’s prophecy of a new society rising from the crisis of postindustrial present, delineated a future global village, a technological environment for ritual and cultic architectures. Following are the pages of the hystorical magazine. (Mail us for a full-definition pdf). Full text “Everything is architecture” after the images. 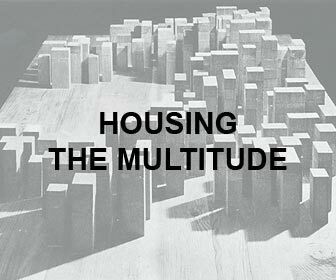 Limited and traditional definitions of architecture and its means have lost their validity. Today the environment as a whole is the goal of our activities—and all the media of its determination: TV or artificial climate, transportation or clothing, telecommunication or shelter. The extension of the human sphere and the means of its determination go far beyond a built statement. Today everything becomes architecture. “Architecture” is just one of many means, is just one possibility. Man creates artificial conditions. This is Architecture. Physically and psychically man repeats, transforms, expands his physical and psychical sphere. He determines “environment” in its widest sense. According to his needs and wishes he uses the means necessary to satisfy these needs and to fulfill these dreams. He expands his body and his mind. He communicates. Architecture is a medium of communication. Man is both—self-centered individual and part of a community. This determines his behavior. From a primitive being, he has continuously expanded himself by means of media which were thus themselves expanded. Man has a brain. His senses are the basis for perception of the surrounding world. The means for the definition, for the establishment of a (still desired) world are based on the extension of these senses. 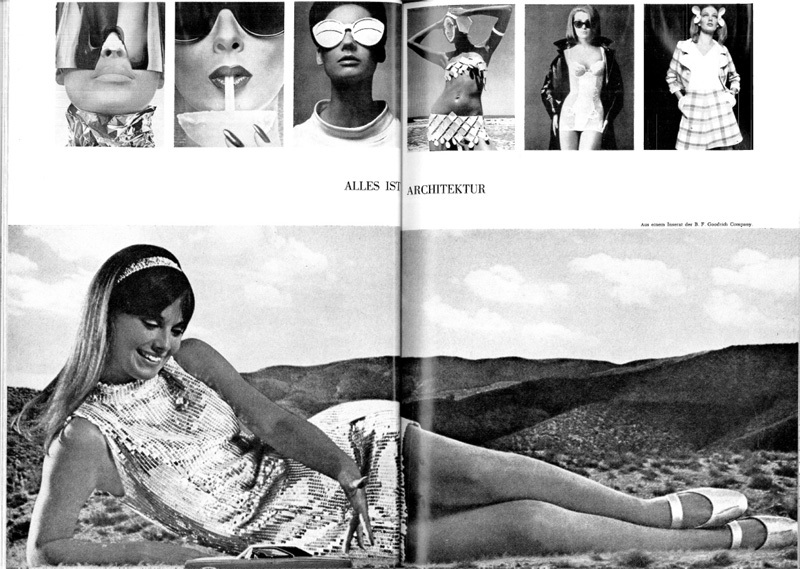 These are the media of architecture—architecture in the broadest sense. Architecture is cultic; it is mark, symbol, sign, expression. Architecture is control of bodily heat—protective shelter. Architecture is determination—establishment—of space, environment. Architecture is conditioning of a psychological state. For thousands of years, artificial transformation and determination of man’s world, as well as sheltering from weather and climate, was accomplished by means of building. The building was the essential manifestation and expression of man. Building was understood as the creation of a three-dimensional image of the necessary as spatial definition, protective shell, mechanism and instrument, psychic means and symbol. The development of science and technology, as well as changing society and its needs and demands, has confronted us with entirely different realities. Other and new media of environmental determination emerge. Beyond technical improvements in the usual principles, and developments in physical “building materials” through new materials and methods, intangible means fa spatial determination will also be developed. Numerous tasks and problems will continue to be solved traditionally, through building, through “architecture”. Yet for many questions is the answer still “Architecture” as it has been understood, or are better media not available to us? Architects have something to learn in this respect from the development of military strategy. Had this science been subject to the same inertness as architecture and its consumers, we would still be building fortification walls and towers. 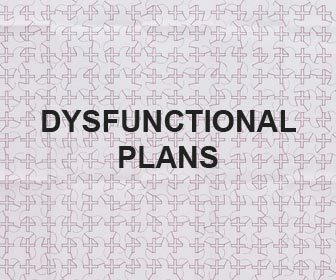 In contrast, military planning left behind its connection to building to avail itself of new possibilities for satisfying the demands placed upon it. Obviously it no longer occurs to anyone to wall-in sewage canals or erect astronomical instruments of stone (Jaipur). New communications media like telephone, radio. TV, etc. are of far more import. Today a museum or a school can be replaced by a TV set. Architects must cease to think only in terms of buildings. There is a change as to the importance of “meaning” and “effect”. Architecture affects. 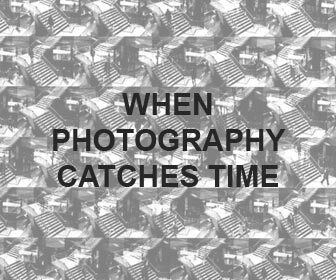 The way I take possession of an object, how I use it, becomes important. A building can become entirely information—its message might be experienced through informational media (press, TV, etc). In fact it is of almost no importance whether, for example, the Acropolis or the Pyramids exist in physical reality, as most people are aware of them through other media anyway and not through an experience of their own. Indeed, their importance—the role they play—is based on this effect of information. Thus a building might be simulated only. An early example of the extension of buildings through media of communication is the telephone booth —a building of minimal size extended into global dimensions. Environments of this kind more directly related to the human body and even more concentrated in form are, for example, the helmets of jet pilots who, through telecommunication, expand their senses and bring vast areas into direct relation with themselves. Toward a synthesis and to an extreme formulation of a contemporary architecture leads the development of space capsules and space suits. Here is a “house”—far more perfect than any building—with a complete control of bodily functions, provision of food and disposal of waste, coupled with a maximum al mobility. These far-developed physical possibilities lead us to think about psychic possibilities of determinations of environments. After shedding the need of any necessity of a physical shelter at all, a new freedom can be sensed. Man will now finally be the center of the creation of an individual environment. The extension of the media of architecture beyond pure tectonic building and its derivations first led to experiments with new structures and materials, especially in railroad construction. The demand to change and transport our “environment” as quickly and easily as possible forced a first consideration of a broad range of materials and possibilities—of means that have been used in other fields for ages. 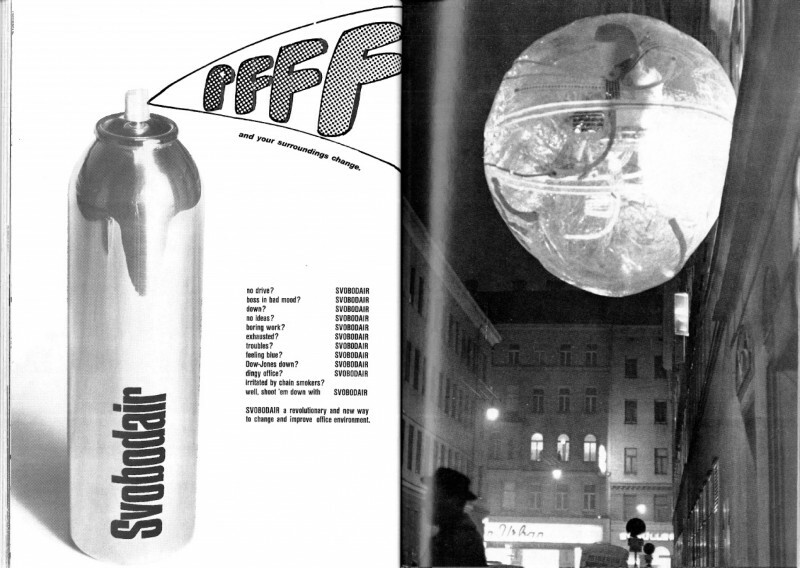 Thus we have today “sewn” architecture, as we have also “inflatable” architecture. All these, however, are still material means, still “building materials”. Little consequent experimentation has been undertaken to use nonmaterial means (like light, temperature or smell) to determine an environment, to determine space. As the use of already existing methods has vast areas of application, so could the use of the laser (hologram) lead to totally new determinations and experiences. Finally, the purposeful use of chemicals and drugs lo control body temperature and body functions as well as to create artificial environments has barely started. Architects have to stop thinking in terms of buildings only. Built and physical architecture, freed from the technological limitations of the past, will more intensely work with spatial qualities as well as with psychological ones. The process of “erection” will get a new meaning, spaces will more consciously have haptic, optic, and acoustic properties, and contain informational effects while directly expressing emotional needs. 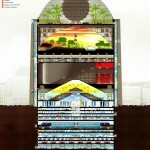 A true architecture of our time will have to redefine itself and expand its means. Many areas outside traditional building will enter the realm of architecture, as architecture and “architects” will have to enter new fields. All are architects. Everything is architecture. Thank you for sharing this issue of Bau. It’s great to be finally able to look at it. Could you send it in full definition pdf in order to be able to read all the captions. Following are the pages of the historical magazine. (Mail us for a full-definition pdf). Hello Gina, we wrote you in private. Let’s keep in touch and let us know for your essay. I Mail You for a full-definition pdf of the text “Everything is architecture” by Hans Hollein. Thank you for offering the full PDF of Bau. I look forward to receiving it. 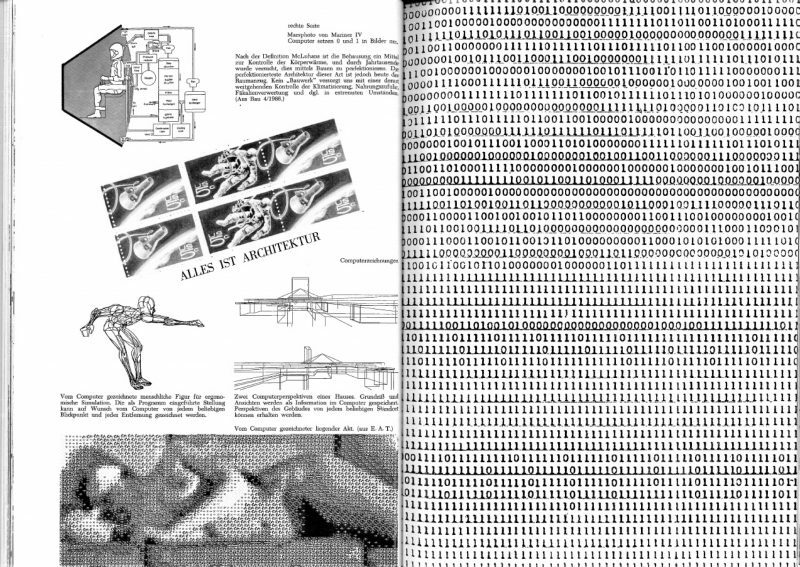 pls mail me the full-definition pdf of the text “Everything is architecture” by Hans Hollein. 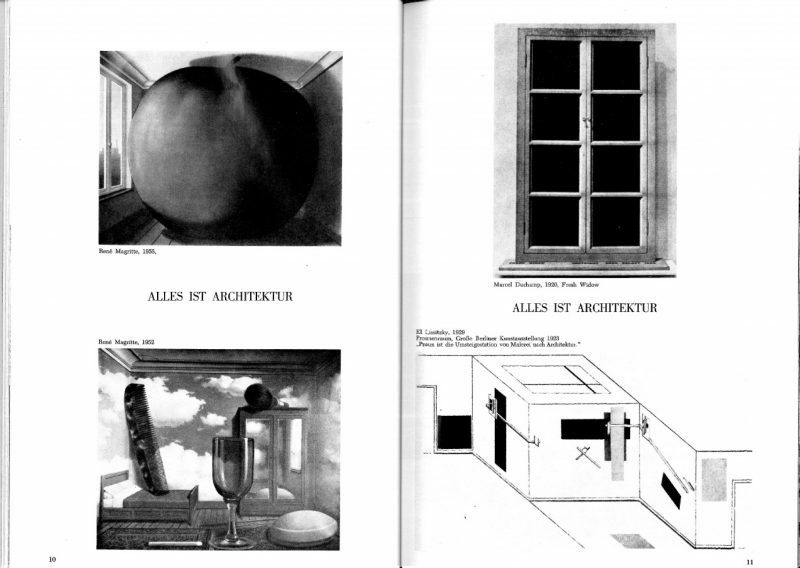 hello, I would LOVE to please receive a full-def of “Everything is Architecture” by Hollein. Thank you VERY much! 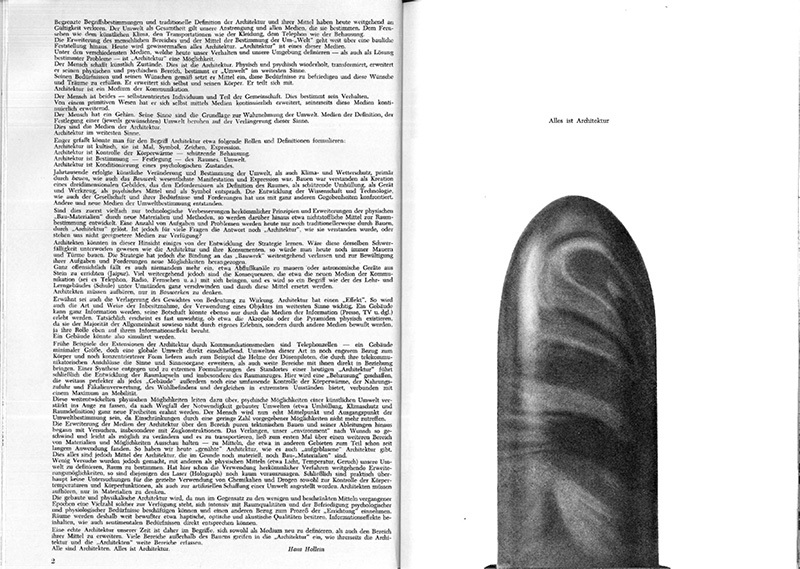 Thank you for sharing Hans Hollein’s seminal manifesto. Could you please send the full-definition pdf of this manifesto to me. Thanks. 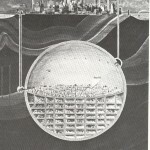 I’m an architecture student and I’m reading about hollein, could you send me the full def pdf? I’m a student of architecture and currently writing an essay about radical architecture, could you please send the full-definition pdf of this manifesto to me. Thanks. Hello! wow you guys always put up the best stuff. 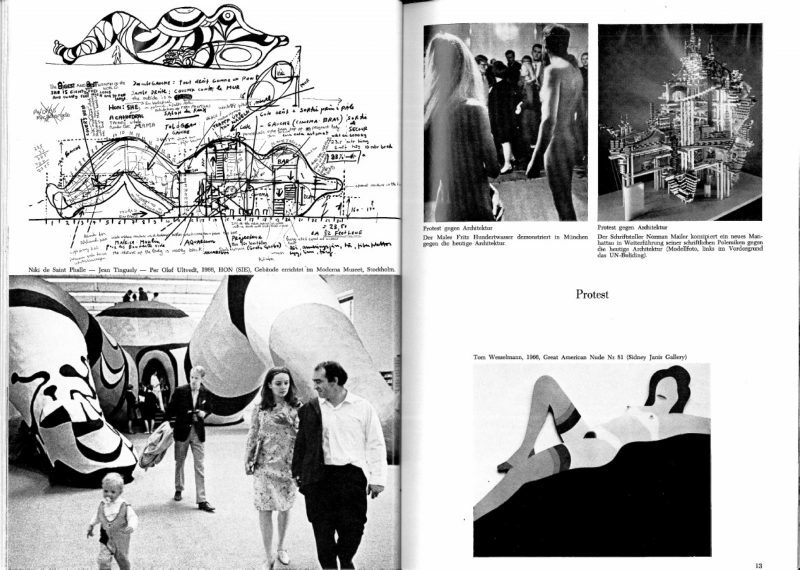 I’m currently doing research on the radical design of the 60’s and 70’s and I would be really grateful if you could send me the full pdf of this manifesto. Hello, I am studying art history and I am currently writing my masterthesis about Hans Hollein’s exhibition architecture. 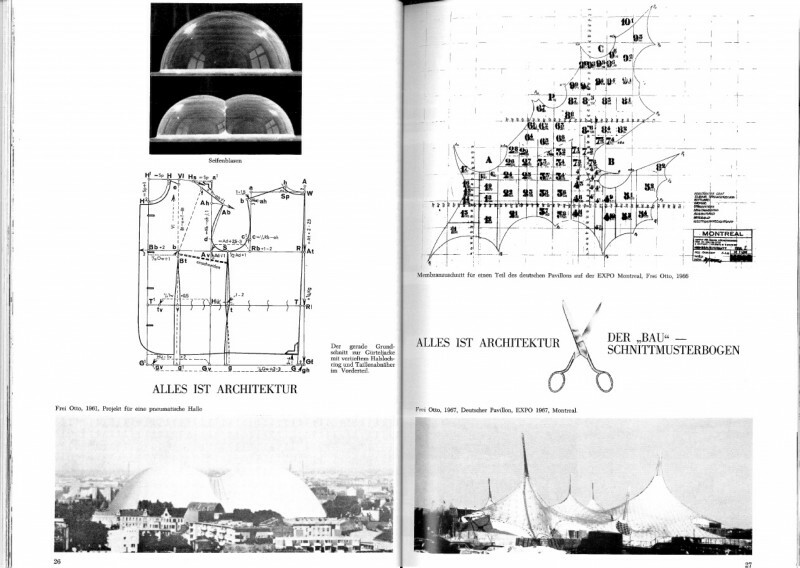 Thank you for sharing “Alles ist Architektur”. Could you please send me the full-definition pdf? That would be very helpfull! I’m a PHd candidate and this article is very interesting for me. Could you send me the full-definition pdf, please? We have replied by mail. Fosco Lucarelli, I am an architecture student is despirate need of this as a high resolution PDF. Could you please forward me the PDF? 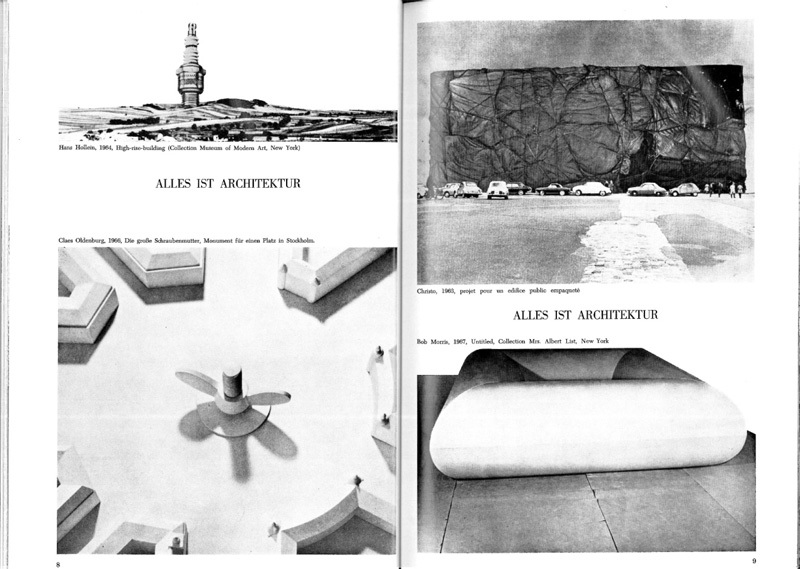 I also am an architecture student and I’m currently doing some researches on Hans Hollein. It would be great if you could send me a full resolution pdf. Could you e-mail me the high-res pdf, please? Hey Socks – this is great stuff. Been following for a while on Twitter and FB. Would love to have a high res pdf of this if you would share. Thank you in advance! 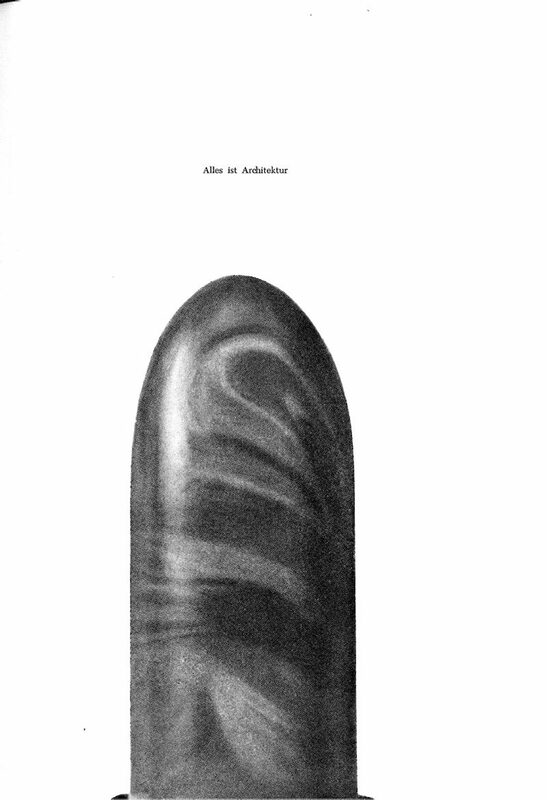 I’m writing an essay about Hans Hollein and I’d really like to have the pdf of Alles ist Architektur. This is really interesting! Could you please forward me the email of Alles ist Architektur as well? Thank you in advance. Hello socks studio! 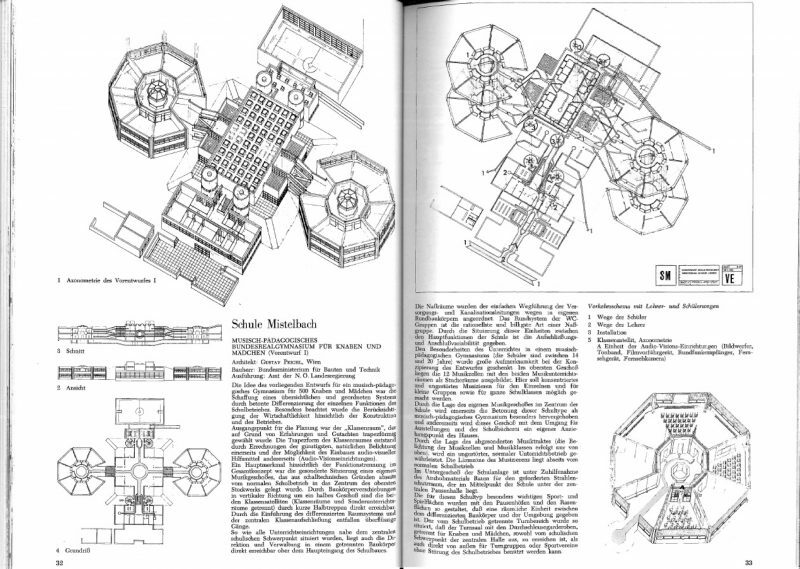 I have looked everywhere for a PDF of Alles ist architektur, but have not been successful. Thankfully, google led me to your wonderful blog, I would love a copy of it! I would really appreciate if you can email me the full resolution. 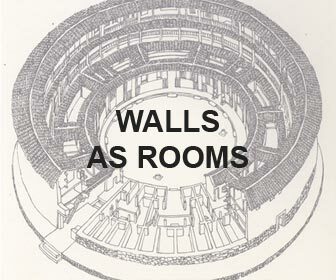 thanks for posting Would you be so kind as the email me a PDF of Hans Hollein’s Everything is Architecture? I’m another pesky PhD student enjoying your blog. Hello. I’m a graduate student in Japan. 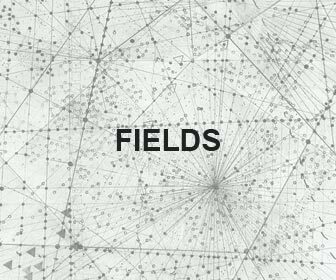 I’m searching architect’s exhibitions for my master thesis. 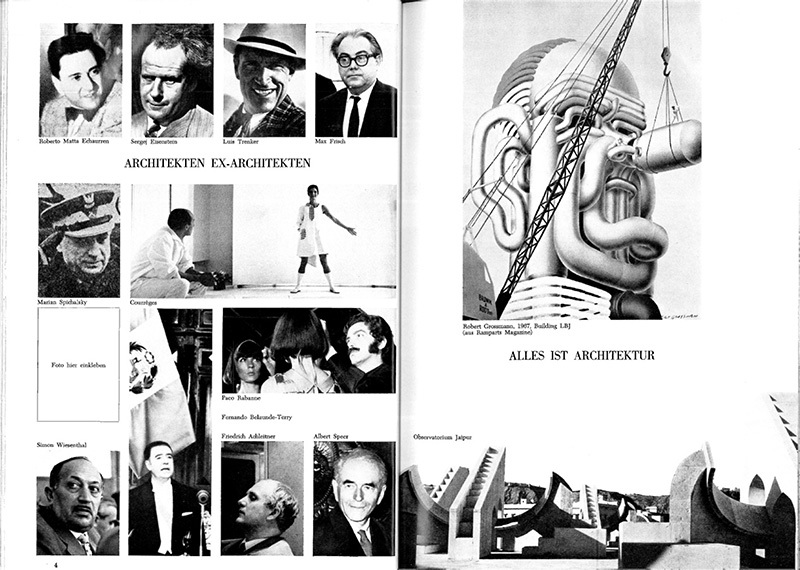 Could you send me the full-definition pdf of “Everything is architecture” ? 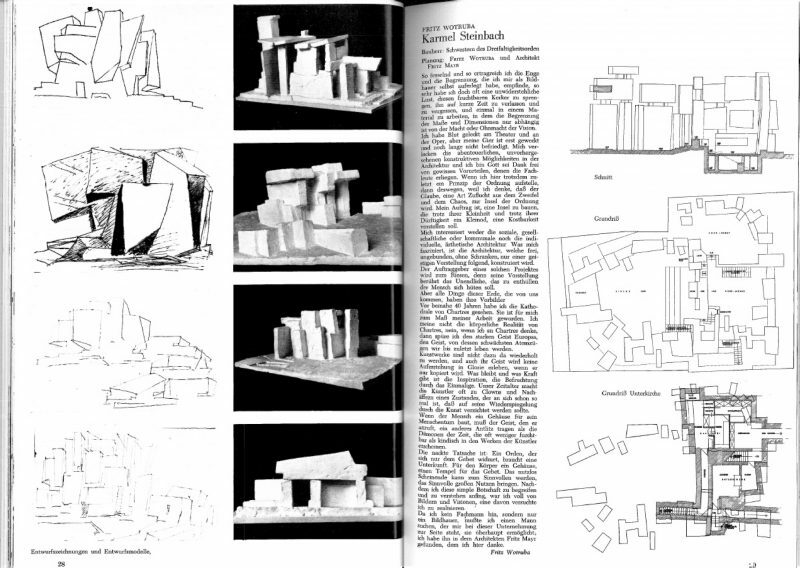 could i get the full definition Alles ist Architektur pdf? Hi! 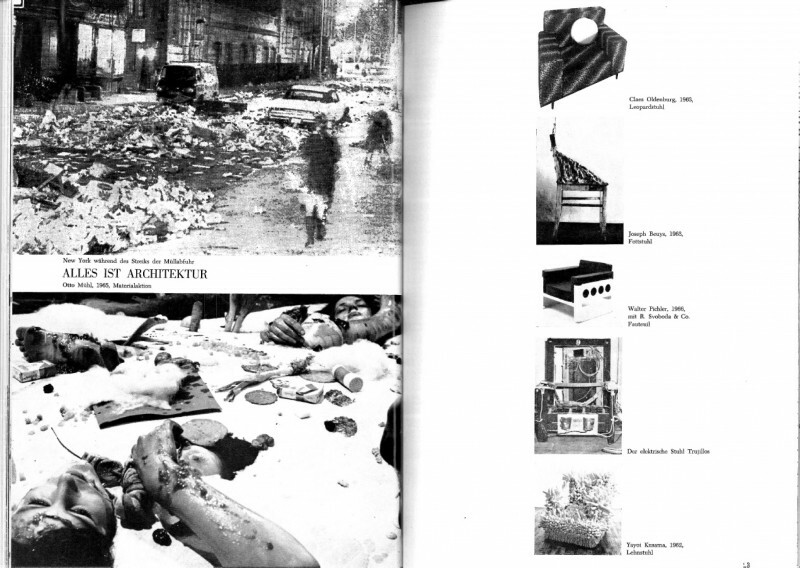 Could you please send me the full PDF of Everything is architecture? could you please mail me the full-definition pdf of the text “Everything is architecture” by Hans Hollein. I also want to inquire whether you could email me the “Everything is architecture“ pdf. It’d be a great help. I’m studying Radical Architecture & Speculative Design for my BA in Brazil. I always find really good research materials here – in Socks website. Thanks! Hi, where can i dowload this pdf of Bau? Happy to see this edition of Bau online. 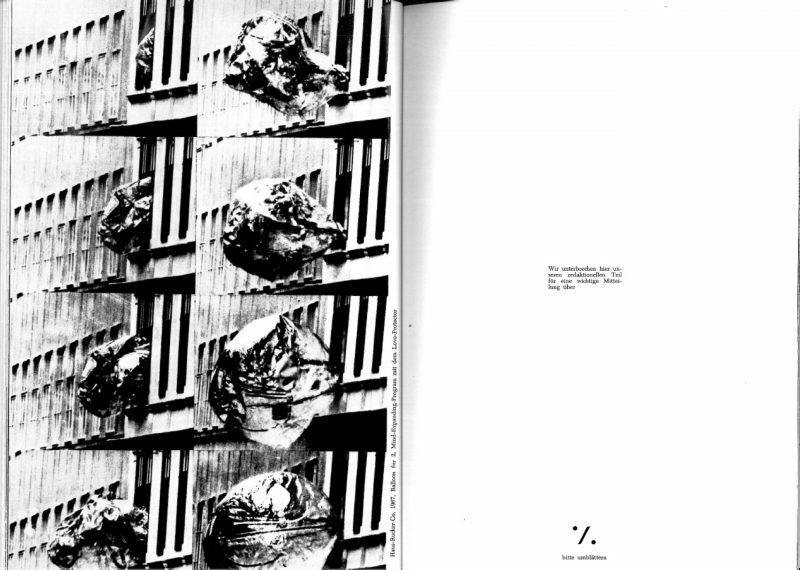 I’m a former student of Hans Hollein, currently writing my PhD which mentions some of the work in this edition of Bau. 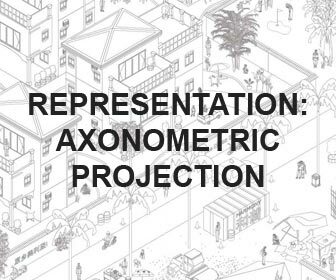 Would you be so kind to send me the highres PDF version of this? I am also an Architecture student. 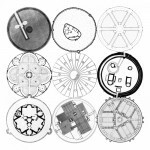 Please could I have a hi res copy of Everything is Architecture for my Masters essay. Could you send a high resolution of this pdf, please? I’m an architect currently writing my PhD which refers to some of the work in this edition of Bau magazine.I would be grateful if you could send me the highres PDF version!